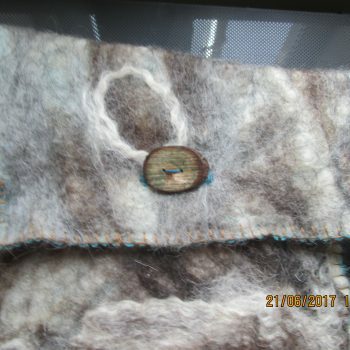 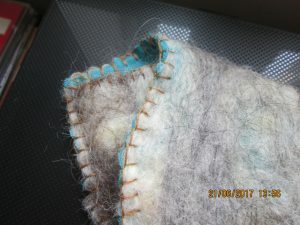 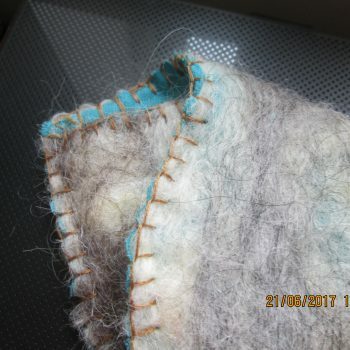 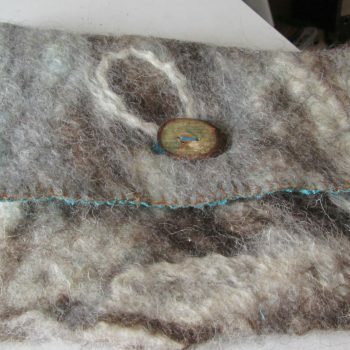 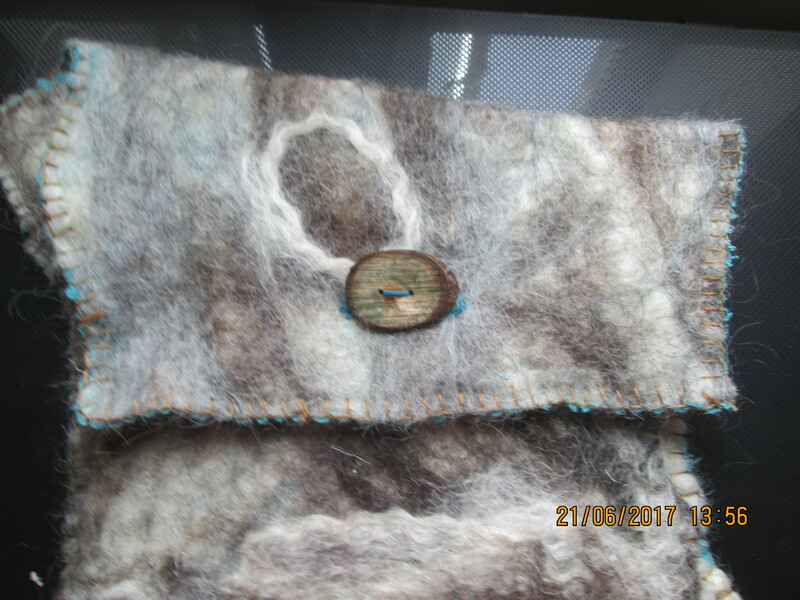 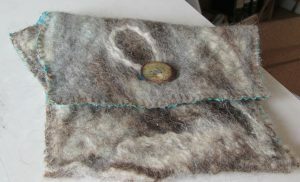 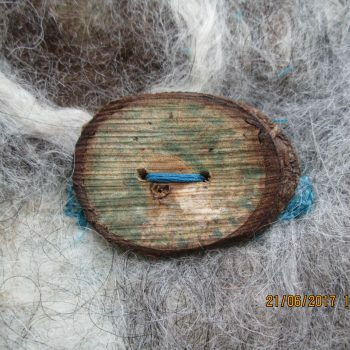 Hand felted Linen wool purse, edged with vintage silk thread, lined with Aqua blue linen. 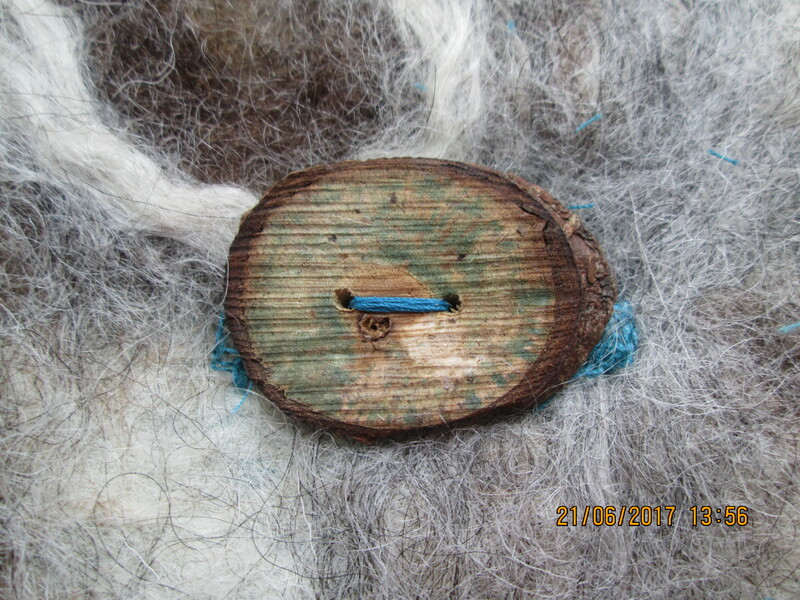 Finished with an English Willow button, made by hand in Worcestershire by the Natural Linen Company. 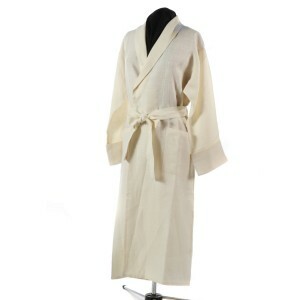 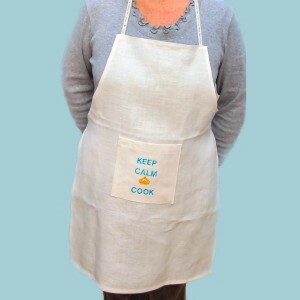 All Willows are grown here in Worcestershire by the Natural Linen Company.